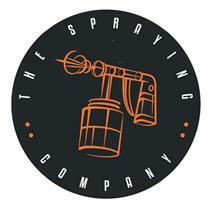 The Spraying Company - Painter/Decorator, Shop Fitting, Windows/Doors/Conservatories based in London, Greater London. Here at The Spraying Company, our team of professional on site sprayers complete work on commercial and domestic properties. We're located in London, but work across both the Capital and the Home Counties. When you work with The Spraying Company, we'll bring the highest standard of paint spraying to your project, ensuring the best painted surface finish. Our friendly team are specialists in professional spray painting services for domestic, commercial and industrial sites. The results our teams produce on site simply need to be seen to be believed. We regularly complete work with new build construction companies and ongoing maintenance managers and can ensure all of our work will comply with strict health and safety standards. Our thorough surface preparations and quality applications ensure you receive a long lasting durable finish with any job. We provide a range of paint spraying solutions that can help with everything from a full business upgrade to renewing your current colour scheme. We know how important your business is to you, so we ensure any work we undertake will have minimal impact on your working day. We'll even complete your project over weekends and out of hours so you can be sure you won't lose any business. We achieve brilliant results across a wide range of spray coatings, each and every time for your business.